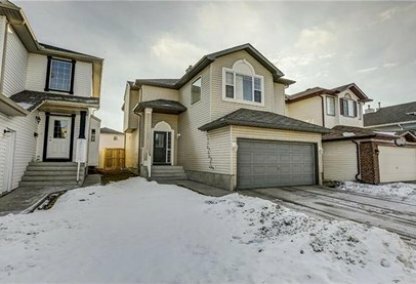 Search Taradale homes for sale in Calgary! Taradale, annexed to Calgary in 1961 and established in 1984, is a community in the north-easternmost side of the city that has still a lot of room for growth. For information about the newest listings for sale in Taradale or to schedule a private home or condo showing, contact your Taradale Calgary real estate experts today. Taradale housing market statistics: As of April 24, 2019 there are currently 49 properties for sale in Taradale listed as active, with an average asking price of $364,051. The highest-priced property is $679,900; the lowest priced property can be purchased for $162,000. Taradale neighbourhood listings have an average price of $286 per square foot, based on listings with 3.8 bedrooms, 2.9 baths, and 1,304 square feet of living space. 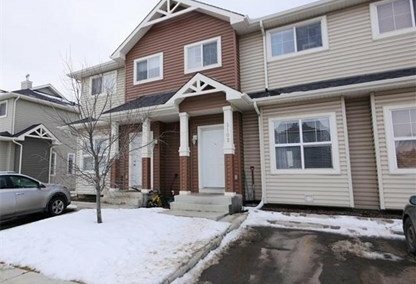 Looking to sell or buy a home in Taradale Calgary? Call Justin Havre at RE/MAX First - 403.217.0003, your neighbourhood Calgary real estate team. We are Taradale real estate agents and experts on the Taradale housing market in Calgary. Much of Taradale's area remains undeveloped as it remains a low-density residential community. Several neighbourhoods are around Taradale. To its north and south, respectively, are Saddleridge and Falconridge, while Martindale homes for sale are to the west. The Calgary International Airport is also just west of Taradale real estate. The community has an essentially flat topography, gently sloping from northeast to southwest. Although Taradale is at the eastern edge of Calgary, the community remains well-connected to the various points of interest within the city. These places not only include life and leisure venues but also many potential sources of business and employment. Among these are nearby industrial parks such as the Deerfoot Business Centre, a short distance west of Taradale properties. The major road arteries that facilitate access to these localities include Taradale Drive to the North, 68 Street E to the east, 64 Avenue to the south, and Falconridge Boulevard to the west. Additionally, a C-train station is also near the neighbourhood. Taradale's neighbourhood population is estimated at 2,658 as of 2006. The residences in this community are dominated by detached, single-family homes; 10.4 percent of total housing is for rentals. High-end estate homes in Taradale can be on the market with tag prices in the $900s. Lower-end choices on condo-apartments can have quoted prices approaching the $200s. Two elementary schools serve this neighborhood: Taradale School and Our Lady of Fatima. A middle school is also being constructed in the community. There are several parks, a toboggan hill, and two ponds with walkways in Taradale, enabling many outdoor activities for its residents. Recreational pursuits are likewise convenient at the Prairie Winds Park in the nearby Castleridge community. Thinking of buying or selling a home in Taradale Calgary? Let our local real estate agents help guide you through the purchase of your next property, or to professionally negotiate the sale of your current home. As local Taradale real estate agents, we're experts on the market dynamics unique to the Taradale real estate. We'll get to work today! Contact Justin Havre at RE/MAX First - 403.217.0003 to learn more about buyer or seller representation. Planning to sell your Taradale home? Check out our home evaluation tool, where you can instantly view Calgary Homes Values online!